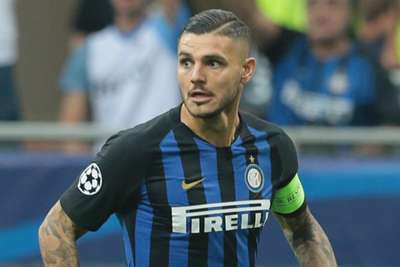 Inter captain Mauro Icardi is happy to stay with the Serie A giants and is close to signing a new deal despite interest from elsewhere. Icardi, 25, has scored at least 20 league goals in three of the previous four seasons, leading to speculation over his future. The Argentina international is reportedly a target for the likes of Chelsea, but Icardi said he was close to re-signing with Inter, where his contract expires in 2021. "I'm happy to stay here," Icardi told Sky Italia. "There have been contacts, but I decided to stay here for myself and my family. I had the dream of playing in the Champions League in the Inter shirt and therefore I couldn't leave. "We will try to find a renewal, but I don't know if it will arrive before Christmas." Icardi reportedly has a €110million release clause valid for foreign clubs, but appears likely to remain at Inter.